?Since the weather looks to be rainy, Saturday's photo fundraiser will be held indoors. We will be taking pictures in front of the gym, with neutral backgrounds- utilizing the natural light from the large windows. For those of you hesitant about what this might look like, I am attaching a sample of images from the last time we had rainy weather. I promise that we will get some great shots! I consider myself pretty picky, and I always love how these pictures come out! 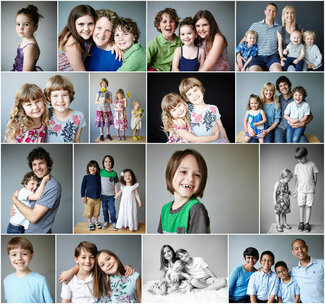 examples of past indoor shoots are shown above. Please see attached map for parking instruction and location of shoot. WHERE: McDougle Elementary School. Please be sure to arrive 5-10 minutes early for check in. In case of rain, portraits will be taken indoors in front of the gymnasium. Session fee proceeds will go to the MES PTA.